This statement is made in accordance with Section 54 of the Modern Slavery Act 2015 as it applies to Richard Martin Lighting, a commercial organisation supplying Lighting Equipment and services. This statement sets out the steps that have been taken to ensure that modern slavery is not taking place in the Richard Martin supply chain and in any part of our own business. We are committed to ensuring that there is no slavery, servitude, forced or compulsory human labour, abuse of power over vulnerable individuals, human trafficking or any other form of exploitation by the MSA in any part of our business or in our supply chain. At Richard Martin Lighting we strive for transparent business operations and performance. We adhere to a high set of ethics and values that guide our procedures and decisions. 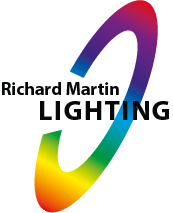 At the point of recruitment at Richard Martin Lighting, appropriate checks in accordance with relevant laws are carried out on prospective employees and we ensure that pay and conditions are appropriately managed. A formal ‘Contract of Employment’ is drawn up stating employees statutory rights including annual salary, sick pay, holiday pay and any other benefits they may be entitled to. These extend to making sure that MS is not taking place in our supply chains and that all our relevant policies are adhered to. We inform our suppliers that we are not prepared to accept any form of exploitation in their business or any part of their supply chain by publishing our policy and statement on our website. The statement has been signed by the Operations Manager and published on our website www.richardmartinlighting.co.uk with a clear link on the homepage.